This classic Italian dish can be on your dinner table in less time than it takes to pick up takeout. The only problem is it will be better than your favorite Italian restaurant! Sorry guys. 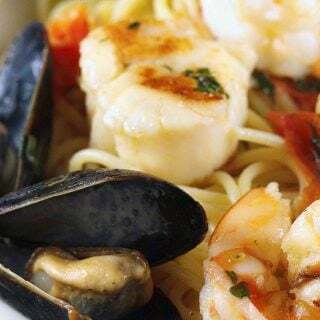 If you ask Lisa what her favorite dinner was, without hesitation she would say Linguine with clams. Luckily for us, you can get farm raised little neck clams at most supermarkets. And they’re pretty darn close to wild caught. While it’s not my favorite meal, it is one of my favorites to prepare, because of how easy it is to make! For that same reason, it’s one of the first entrées I teach my students to make at the Mount. Bags of farm-raised littlenecks are readily available in most grocery stores in this area, so they are easy enough to find, and a bag of 50-60 usually runs around $ 16.00, add in a pound of linguine and a special dinner for two just became very affordable! We really began eating Linguine and clams after our first trip to Italy, I think that has to be the first time I ever had it prepared properly. All of my years of restaurant clam sauce consisted of chopped canned clams….Yuck! When I think back on what we served….sigh, well I’m just glad I learned the right way to make this dish and I’ve never resorted to canned clams since that trip! Throw in a nice tossed salad and some crusty bread and you have a feast! Throw in a glass of your favorite white wine or prosecco and you’ve made dinner a memorable occasion. First of all start your pot of water for the pasta heating up, while the water is coming to a boil get out your clams and wash them off in cold water. This is the time for you to inspect your clams, an open clam is a dead clam, (if you tap it and it closes it’s just trying to fool you) so discard any open clams. If a clam gets broken by miss handling it will die and it will smell…..this does not mean all the clams are bad but it will impart an odor to the rest of the clams, just rinse them well in cold water. One very important thing to remember about clams is that they come in a mesh bag for a reason, so they can breathe. If you place them in a plastic bag to get them home, remove them from the bag immediately when you get home and place them in a bowl uncovered in the refrigerator. The cold might open some of the clams, but they will close if they are not dead when you move them around. 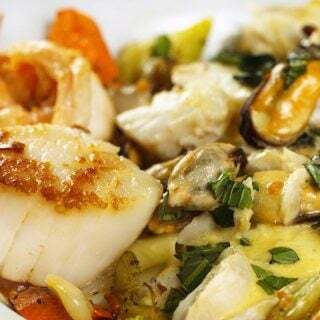 If you’ve tried my Linguine and Clams recipe or any other recipe on askchefdennis.com please don’t forget to rate the recipe and let me know where you found it in the comments below, I love hearing from you! You can also FOLLOW ME on Instagram @chefdenniseats and @chefdennistravels, Twitter and Facebook. Rinse clams in cold water checking to make sure they are all closed, or that they will close when tapped. If they are open they are dead..do not use them! As soon as the pasta water is ready add the pasta and set your timer per instructions. Place a large saute pan on the stove and add the olive oil and garlic. Briefly sautee the garlic then add the clams, basil and crushed red pepper, and splash of white wine to the pan and cover with a lid allowing the clams to steam open. If you have timed this correctly the clams will open with about two minutes to spare on the pasta, turn off the heat on the clams and keep covered until serving. sprinkle fresh chopped parsley on top of the clams and serve with grated romano cheese. You don’t have the basilico in the list of ingredients. How much? yes I do its listed as Chopped Basil – 1 Tbsp. How long do you cook the covered clams? They should take about 7-8 minutes. Once they are opened they are done. I have a question for you, Chef Dennis. I’m located far from fresh clams, so they will cost me a LOT if I want to serve about 30 people. So I’m going to try to substitute something else. You convinced me not to use canned or frozen. What about using scallops? I know it’s a somewhat different flavor, but the tenderness will be there with bay scallops. What do you think? The only difference will be that the clams add their juices as they steam open. 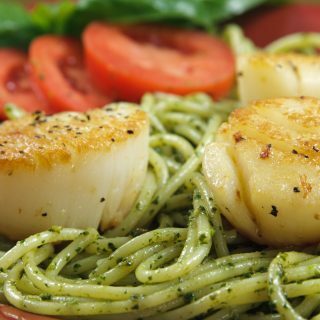 You can use scallops or shrimp. The only difference will be you’ll have more of an garlic sauce than the added flavors from the clams. Delicious! TY for sharing this recipe- linguine and clams is one of my favorites and I will use this recipe again! Thank you so much for the great review and comment. I’m very happy to hear you enjoyed my recipe for linguine and clams, it’s my wife’s all-time favorite dinner! Hi! 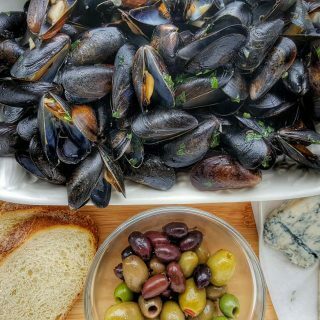 I’m Portuguese and we Portuguese cook a lot of sea food, i make Linguine with Clams very close to this recipe with out the Basil and Romano cheese, I’m going to try this recipe today and I bet that I’m going to love it. I hope you enjoy it as much as we do Fatima! I’m happy to hear you enjoyed my recipe, Michael! This recipe is a must “share & save” keeper to pass down to all loved ones!! Thank you Janet, it is one of our favorites! So easy and so delicious! My sister put the clams in the freezer. So they are now frozen. How can I prepare them with pasta? Clams open when you freeze them as you’re pretty much killing them. They are still good to cook with but they won’t have the same juice that you get when you steam fresh clams open. If you like red sauce I would suggest taking all the clams out of the shells and adding them to a spaghetti sauce and enjoy pasta with a red clam sauce. It is true that so many of the great food recipes are so simple to make…”Linguini with Clams” proves it! The only liquid that I see is the olive oil. Is that the only ingredient in the sauce? I made this tonight for my family. Served it with brown rice pasta and it was wonderful!!! I’m happy to hear you enjoyed the clams and pasta Rita! Thanks so much for letting me know! This is one of my hubby’s fav meals, great or company! Thanks for the sound advice. I will look into the link attached. This is a beautiful dish, Chef Dennis! I’m laughing at myself to admit that I didn’t realize clams were alive until you cook them. Obviously, I’ve neither eaten them not cooked them before now. Thanks to how simply you made this look, I’m feeling challenged to give it a try. I am happy to be a part of the Neighborhood Watch! 🙂 Thanks for doing that! I finally got my neighborhood watch badge on my site…thank, Dennis, for watching out for all of us bloggers! I can see why she loves this dish so much! I am proudly wearing my Watch badge! Linguine and clams — how gorgeous it is, Chef! This is one of my favorite dish. By the way, the badge in place, Chef I just didn’t get to it. 🙂 Thanks for the reminder. My husband LOVES seafood! Thanks for sharing! First of all, thank you for the instructions on proper clam handling. I have not had much experience with fresh clams lately and even when I do, I have never known the proper way to prepare or handle them. Your first photograph is my absolute favorite. It looks as if it is really right in front of me and I have never ever successfully photographed anything in a shell. Amazing work! I have not been good about posting on my blog (that will change) but I am still reading and browsing Pinterest and it does anger me when someone steals photos or recipes. Yeah, there are no original ideas but a recipe and instructions ver batim? C’mon people have some respect. I don’t feel as involved as I should be with the blog community so I don’t know about officially joining the watch. I’m more of a bounty hunter for bloggers…and my bounty is knowing that I am looking out for other people. As an artist this is so critical. Theft of artwork or written material is not acceptable and I have never had the patience for thieves. Or liars. Thank you for sharing your recipe and for always having our back! Ooh linguine and clams, a dish I haven’t had in a long time but now I’ve got a sudden yen. I have had a problem putting the badge on my site even after speaking to the designer. I will try again and if it still doesn’t work, I’ll add it as jpeg with no link. I agree, it’s good to be on as many blogs as possible. Linguine & Clams is one of my favorites too! I’m not really sure why, I feel like it’s a classic that just never gets old and I always want to drink tthe sauce leftover in the bowl. Love the simplicity of this recipe, fresh clams is definitely the way to go. Yum!! One of my favorite meals is linguine with clams!! I’m printing this recipe and making it for the family. Yr such an inspiration. 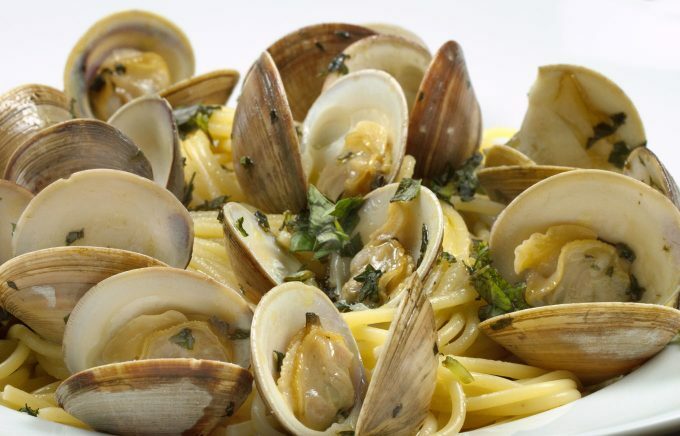 Linguine with clams is one of my favorite Italian dishes–yours looks wonderful! I am so in denial about bloggers literally copying each other–it seems inconceivable that someone could think that is right. What a lovely dish – I adore this! I definitely can relate to the prep work not being very fun. OOOOhhhh….yum. Love love love linguine with clams. And this sounds (and looks) like the perfect recipe for it. I am so jealous that you have Wegmans near you! I miss that place SO much now that I am in CT. They always had the most amazing things there and such selection! 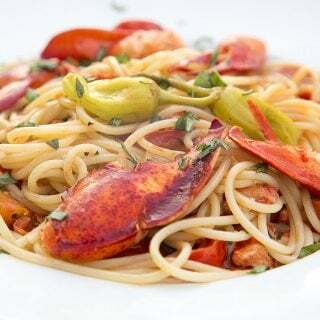 Your linguine looks great! I cannot say I am a fan of clams, but I know Patrick would LOVE this! 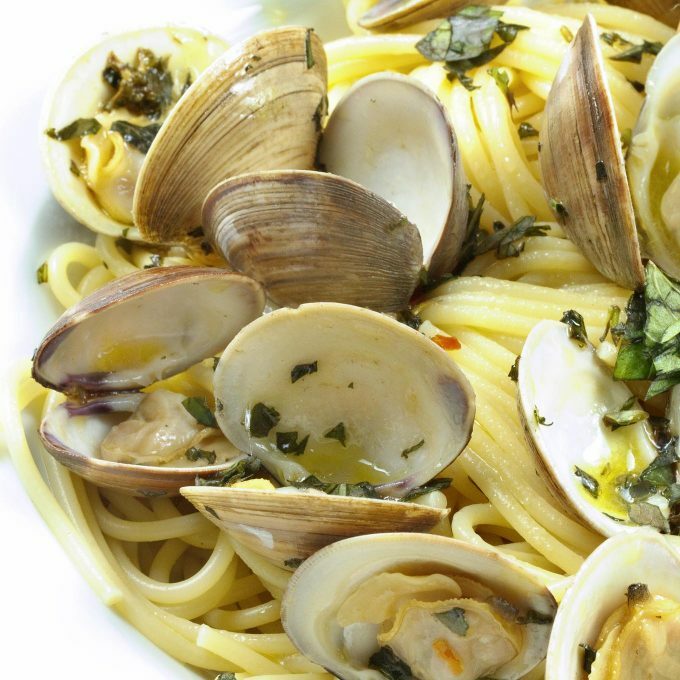 As for the linguine and clams … I used to make mine with chopped clams when the kids were small. Now, that they’re out on their own, my husband and I have graduated to the good stuff in the shells! Haha! great post, Chef D! Oh the olive oil and clams in that photo is drool worthy. 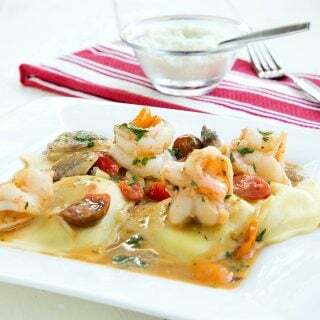 I didn’t have this dish till a few years ago when I first move to Connecticut and every other restaurant is Italian. They really know how to do pasta and seafood. Great dish! This is one of my husband’s favorite dishes when we eat out. Hopefully, with more awareness and bloggers supporting each other, we will all be able to make a dent, even a small one on reducing the number of photos used without permission. I have never had linguine with clams but being in Hawaii I think is the perfect place to try! This sounds so delicious! actually, it’s scary. I would certainly not want to be involved in a lawsuit for pinning something. this will be something to think about, for sure. thank you, as always, for this info and for all you do. this recipe sounds delicious, and the photos are stunning! I adore linguine and clams!!! I have to admit that I’ve never made it myself though… but you make it seem easy enough that I just may have to give it a try. Thanks as always for another wonderful post Dennis. I have a couple of friends who are new to blogging and I’ve sent them to Chef Dennis 101 for some comprehensive info. Thank you for all you do for us! And your photo… Wow!! Simply beautiful!! Amen, Dennis! Amen! I agree with everything you say here. Also, I think linguine with clam sauce may be my favorite too. It’s something I could eat every day. Linguine and clams is one of my 6 year old daughters favorite dinners, she will eat the whole bag of clams if I let her which I sometimes more or less do 🙂 Chef I have a question, If you guest posted on someones blog and then they posted the picture you attatched to your guest post on to Tastespotting under their blog name, whats your thoughts on that? this is Kristina (Dennis I hope you don’t mind me getting in this conversation!). this has happened to me a couple times, someone posting my photos to tastespotting, etc. the first time I noticed it, it was from a guest post. I contacted the person I posted for and told her I contacted tastespotting to have it removed (most of these sites say the photo should be your own). she apologized and said she didn’t know… she was only “trying to get my post more coverage” … tastespotting and all other sites have always removed my photos from other peoples galleries at my request. Sound advice Kristina, I think that’s the way to go. Thanks for your input!! I already made it and it was delicious! I think Kristina explained it perfectly, and it does come down to sites accepting images that do not belong to the person submitting them. It would be fine for you to submit it and have it redirect to your guest post, but you were nice enough to do a guest post and now the blog owner is trying to get even more from you, by sending your images to foodporn sites so they can get more hits…..that’t not right!